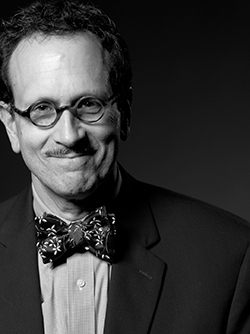 A magazine cover shot by Gregory Heisler, distinguished professor of photography in the Newhouse School, was recognized with a prestigious Henry R. Luce Award from Time Inc.
Heisler’s photograph appeared on the cover of the “Boston Strong” issue of Sports Illustrated, which was named Cover of the Year. Heisler captured the crowd of 3,000 people who had gathered at the Boston Marathon finish line on Boylston Street in Boston in April 2014 to celebrate the city’s resilience a year after the Boston Marathon bombings. Heisler is perhaps best known for his more than 70 cover portraits for Time magazine. His iconic portraits and innovative visual essays have graced the covers and pages of many other magazines, including Life, Esquire, Fortune, GQ, Geo, Sports Illustrated, ESPN and the New York Times Magazine. He is the recipient of the Alfred Eisenstaedt Award and the Leica Medal of Excellence, and has been profiled in American Photo, Communication Arts, Esquire, LIFE and numerous other industry publications.